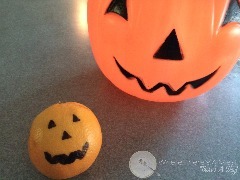 It's the week of Halloween, which means, on average, kids will consume about 4 times their body weight in sugar. But parents, take heart it doesn't have to be that way! 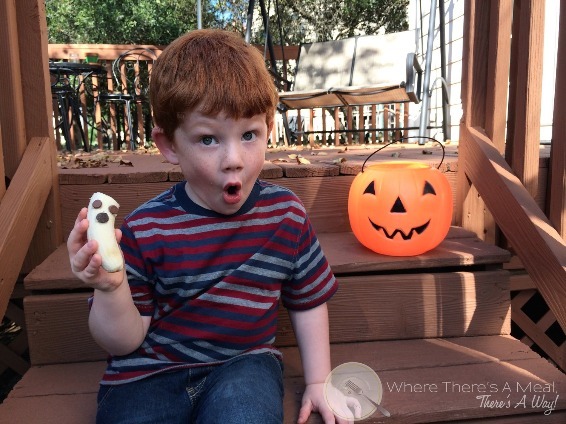 Here are some spooky fun treats that are tasty, fun and won't have your kids riding the sugar roller coaster. 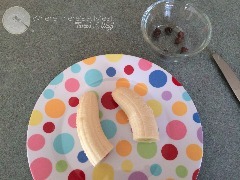 Looking for a treat for your kids that won't come back to haunt you later? Where there's a meal, there's a way! No need to fret, these are treats you won't regret! 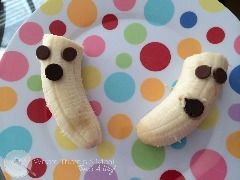 Let kids place the small chocolate chips on the banana for the eyes, and the large chocolate chips will be the mouth. 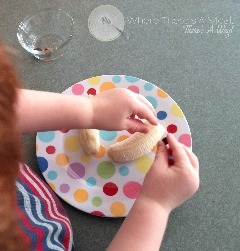 Look at those little hands, gracious me-I helped make them! Sorry, mommy moment. In hind sight we probably should have flipped these over so our ghosts don't have flat heads, but they were still at hit and tasted yummy, and made completely by a 4 year old. This classic takes no skill, just a simple understanding of how to color a triangle. Yet kids still love it! 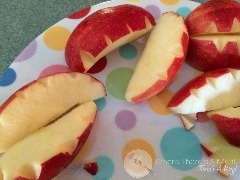 Cut an apple into 8 slices. Cut knotches into one side of each slice. Place roughly 1/2 tablespoon nut butter on 4 slices, and top with remaining slices. 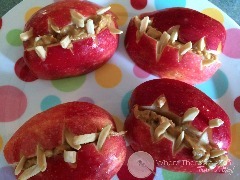 IN the knotches you cut, press the almond slivers into the apple. Does Tucker think these are tricks or treats? Find out!